There was no way to know it at the time, but Soloff would go on to play a crucial role in Warfield’s career. “I studied with Lew when I went to the Manhattan School of Music [for my master’s degree], he played on the dates when I started my big band, and he encouraged me to do the writing for my projects,” he explains. Not surprisingly, then, Soloff’s sudden passing in 2015 had a major impact on his friend and protégé. “Completely crushed” by that loss, Warfield sought out the opportunity to pay tribute, ultimately coming full circle by orchestrating the very solo that brought him back to the horn for an all-star big-band tribute. It didn’t end there; his latest release—2018’s For Lew, a compilation containing previously released and unreleased material—highlights Soloff’s brilliance in a big-band setting while also showcasing Warfield’s own manifold skills. Warfield would wander in place for a while after college, working with a number of Maryland-based touring bands and going through several rough years. But stability eventually found its way to him via a job with the Port City Jazz Ensemble. That 12-piece outfit—a salaried group at the disposal of Baltimore’s mayor, funded through the Comprehensive Employment and Training Act (CETA)—would come to provide a platform for Warfield to hone his writing skills, while allowing him to build a nest egg to support a move to the Big Apple. Once he’d saved up enough—and with encouragement from his close college friend, bass trombonist Doug Purviance—he took the plunge. Arriving in New York in 1980, Warfield worked his way into the scene from several angles. Due in part to his association with Purviance and time spent at the Village Vanguard, he became a known quantity and began to sub with the Mel Lewis Jazz Orchestra. 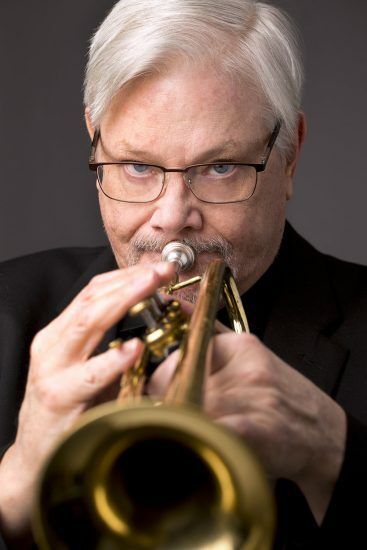 In connecting with friend-of-a-friend Bill Kirchner, he made important connections and aided in establishing the saxophonist’s namesake nonet, appearing on its first two albums, What It Is to Be Frank and Infant Eyes. And through Kirchner’s contacts—Jerry Callet, who ran a talent-stacked rehearsal band, and Nat Mash, a reputable club date contractor—Warfield branched out in his playing and associations. Other musical avenues opened or closed at various points during the ’80s: a world tour with Paul Anka, work at the Cable Beach Casino in the Bahamas, a slight left turn with the Musicians of Brooklyn Initiative (M.O.B.I.) founded by Cecil Taylor, Joseph Jarman, and Lester Bowie. Mixing with the best in the business in many of these situations, Warfield often found himself standing shoulder to shoulder with heavies like Soloff, Jon Faddis, Tom Harrell, Brian Lynch, Claudio Roditi, Earl Gardner, and John McNeil. The trumpet would remain Warfield’s primary passion, but eventually he began to be known more for his compositions. This was a surprise to him—“I never intended to be a writer, I just ended up that way by chance,” he says—yet hardly shocking considering his aptitude, overall work ethic, and course of study. Having taken theory lessons as a child and cut his writing teeth transcribing R&B horn charts for high-school gigs, Warfield formalized his instruction at Towson under Levy, best known for his contributions to the books of Stan Kenton and Don Ellis. Later, the Port City Jazz Ensemble would become a writing laboratory of sorts and, once he was ensconced in New York, everybody from Kirchner to Callet to the men of M.O.B.I. would call on him to write and arrange. Ultimately, all those experiences would provide him with the necessary skills and confidence to operate his own group. On January 11, 1985, with “a handful of charts” at the ready, Warfield formed the Bill Warfield Big Band in his loft. Five years later, using funds saved during a two-year day stint at investment giant Bear Stearns, Warfield released the band’s first album, New York City Jazz. Featuring his original compositions, containing new arrangements of jazz classics, and putting his trumpet out front, it proved to be the perfect representation of his multifaceted musicality. Three years after that, with different personnel, he delivered The City Never Sleeps. Both projects would prove to be high points in Warfield’s discography, but neither would define him. 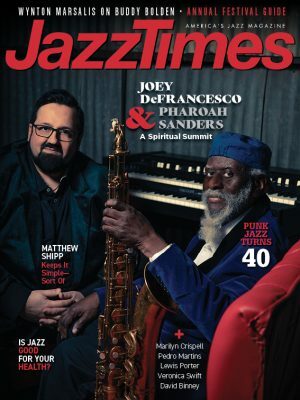 While Warfield’s big band evolved from his experience as a performer and writer, the other groups are outgrowths of his work in jazz education. After finding his way into teaching at the Dalton School in New York, toggling between part-time engagements at Brooklyn College and Towson, and landing a full-time college gig at the University of Northern Florida, Warfield made the move to Lehigh in 1996. Trepidation initially shadowed that decision, but he’s never regretted it since. Splitting his time between the school’s Bethlehem, Pa., campus and New York has allowed Warfield to keep every aspect of his artistry in play. At the time of this interview he was coming off a gig playing Billy May and Nelson Riddle charts, gearing up for a Zinc Bar date with the Hell’s Kitchen Funk Orchestra in preparation for the band’s visit to the studio the following week, and finishing an arrangement for a rehearsal the following day—which confirms guitarist Vic Juris’ assertion that he’s seen Warfield knock out strong charts in a day’s time. It’s with steady hands, his wife Carol’s undying support, and a belief in the interrelatedness of his ventures that he handles it all so well.